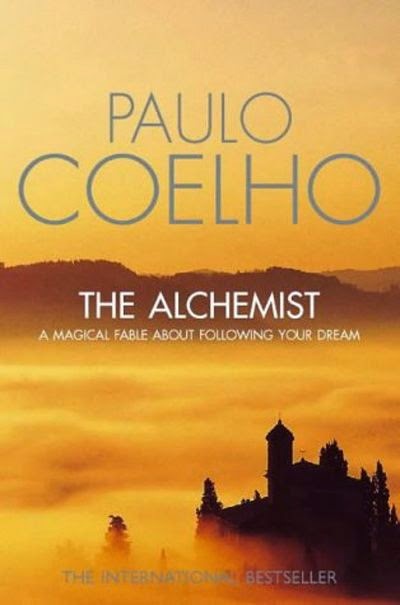 I finished Paulo Coehlho's book The Alchemist about a week ago and wanted to write a review about it. 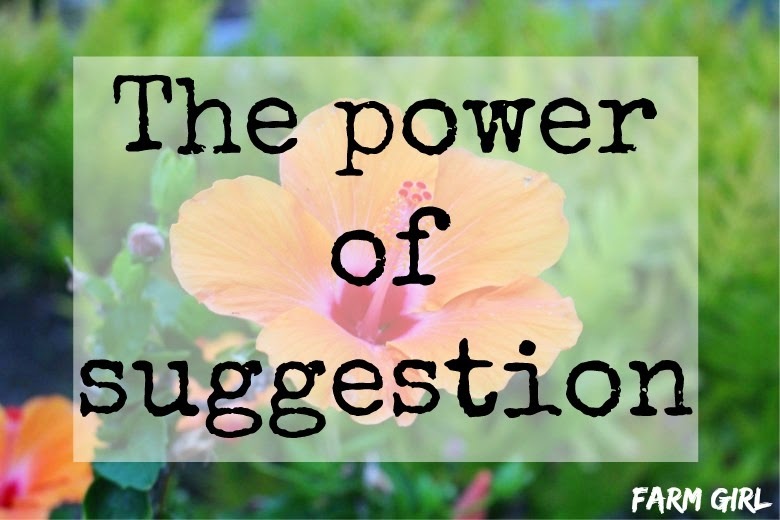 The review will be coming in a moment, but I want to address a different issue first: The power of suggestion and negativity. I read the book on the glowing recommendation of Helene. Ignorant me vaguely recalled having heard the title before, but I knew nothing about the book at all. I certainly didn't know that it was a world-wide phenomenon with millions of copies sold, and that it was some sort of self-help book. The version I bought includes a short introduction by the author, where he touches on the popularity of the book by mentioning that president Bill Clinton read it, and that Julia Roberts declared that she loves it. Also, let's not forget that Oprah gave it her stamp of approval, which automatically guarantees any book a place at the top of the New York Times Bestseller list. Before I even read the first sentence, I was inclined to like the book, too - after all, who am I to disagree with millions of people? "Like all dreamers, I need success stories to fuel the fire of my passion. People who made it big after hitting rock-bottom are always a great motivation, as are self-proclaimed amateurs who figured it out as they went along, and became successful in their chosen field without knowing much about it to begin with. I specifically admire authors, and in particular those who make it look easy. 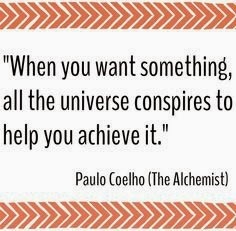 Paulo Coelho's book "The Alchemist" is one of those books that do just that. You probably read his book and know exactly what I'm talking about; after all, it has sold more than 65 million copies and has been translated into 56 different languages." I had to google the numbers, and in doing so, I came across some reviews on goodreads. Bad ones. And like a passersby gawking at an accident, I couldn't look away, and read bad review after bad review. Some were simply vicious and dumb, saying stuff along the lines that "I hate this book because it's stupid", which nobody should take seriously. Haters gonna hate, and if you don't have a constructive argument, then it means you haven't thought it through. No need to get worked up about that. But there were also arguments that warranted listening to, and that made me pause in my own appraisal, resulting in abandoning it altogether. Suddenly I wasn't sure any more: What was my opinion? The raving review I had planned on writing - was that really my belief, or had I been influenced by the public opinion about the book? I slept on it, thought about it some more, and came up with something that is as close to my unbiased point of view as I can get. The story in itself reads like a fairy-tale: The Andalusian shepherd Santiago has a recurring dream about a treasure hidden by the pyramids of Egypt, and after seeking advice from a gypsy and an old man (who says he is the king of Salem) goes off in search of his treasure. On the way he gets robbed, then becomes rich by working in a crystal shop for a year, joins a caravan to cross the Sahara desert, falls in love, turns into the wind, and eventually reaches the pyramids. There he gets robbed again and beaten, and one of his assailants tries to demonstrate the foolishness of Santiago's dream by telling him his own: About a treasure buried under a sycamore tree in Spain. Santiago realizes that his treasure is at home, at the spot where he set out on his adventure, and returns there to find a chest of jewels and gold. He has learnt lots of lessons on his journey, and in the end is a wise and rich man who returns to the woman he loves. Here is the thing: I'm easily excitable. Tell me that I can achieve anything I want if I want it enough, and you will be my friend. I want to believe that, and anything that encourages this sort if thinking is good news for me. What's the world's greatest lie? It's this: that at a certain point in our lives, we lose control of what what's happening to us, and our lives become controlled by fate. He never realized that people are capable, at any time in their lives, of doing what they dream of. He had to choose between something he had become accustomed to and something he wanted to have. You will never be able to escape from you heart. So it's better to listen to what it has to say. I loved the message of the book: To follow your dreams and find your own 'personal legend'. The ending. Why does the treasure have to be an actual treasure, meaning gold and jewels? It thought the treasure would be more spiritual or metaphorical. If the purpose of his journey was to become rich, he could have ended his quest several times: In Tangier as the crystal merchant's assistant; or in the desert at the oasis, where he found love and wealth. Also, that his 'treasure' is at home, in the exact same spot where he set out on his adventure was frustrating to me. I guess the message is that whatever we are seeking is close to home; but I don't agree with that, which is of course purely personal. In my life I have found my own 'treasure' far away from where I grew up, which really doesn't mean anything but that everybody's story is different. Still, overall I give the book 4 out of 5 stars. I found it very uplifting and positive, and very motivational. Love those quoted lines, Miriam. They definitely caught my attention! I think you're review is pretty neutral! You specified where your personal bias comes in to play, yet still gave a what sounds like a very factual assessment of the progression of the story/character. I'm not a big fan of the overly popular books so I doubt I'll get my hands on this one, but I'm glad it inspired you! What I find fascinating is how certain things (books, photos on Instagram, videos on YouTube, etc) get hugely popular. Are they really so much better than everything else? Usually not. Is it a combination of luck and timing? Or being endorsed by the right people? I don't have the answer, but I wish someone would! How interesting. This is a book I've never read yet have always intended to read. I'll have to get to it soon. It's worth a read for sure. Is it worthy of all that hype? I'm curious what you think, let me know! Your review is really good! I agree with a lot of your points in regard to the treasure. The book was much easier to read than I for some reason thought it would be. It is very uplifting and I LOVED all the quotes.